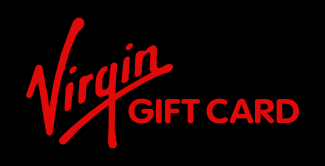 2% of the value of your order for Virgin Gift Cards will be donated to the charity of your choice at no cost to you. Please nominate a charity at the checkout. The Virgin Gift Card offers the ultimate in flexibility and choice, that's why it makes such an excellent gift. Whether theyre into eating out or chilling out, weekend breaks or holidays of a lifetime, visits to the theatre or visits to the gym, weve got it covered. Click here to see a list of all the places where you can spend your Virgin Gift Vouchers.